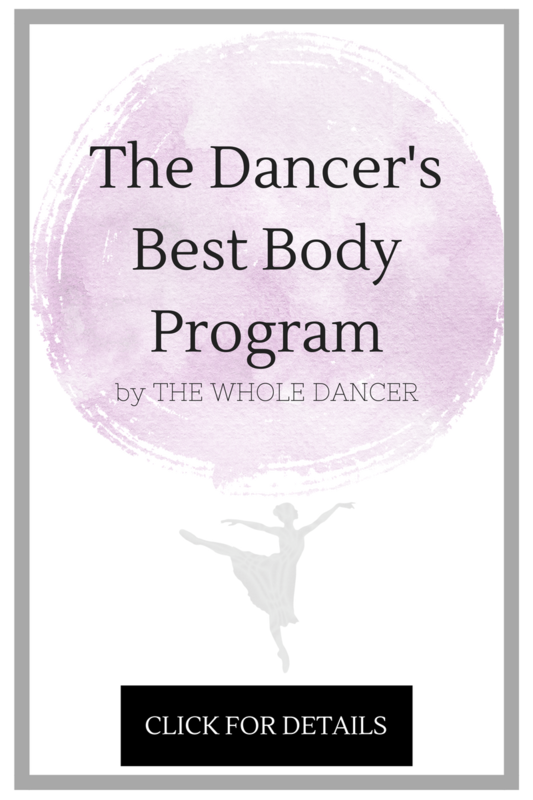 I’ve mentioned how picky dancers can be about their leotards, their pointe shoes, and their diet. But, for me, no stronger proclivity exists than that of my selectiveness when it comes to socks. I have been known to wear exclusively unmatching socks, like the tragic result of a greedy dryer, but on purpose. Why, you ask? I wish I had a proper response, but I suppose I’m just an odd duck. 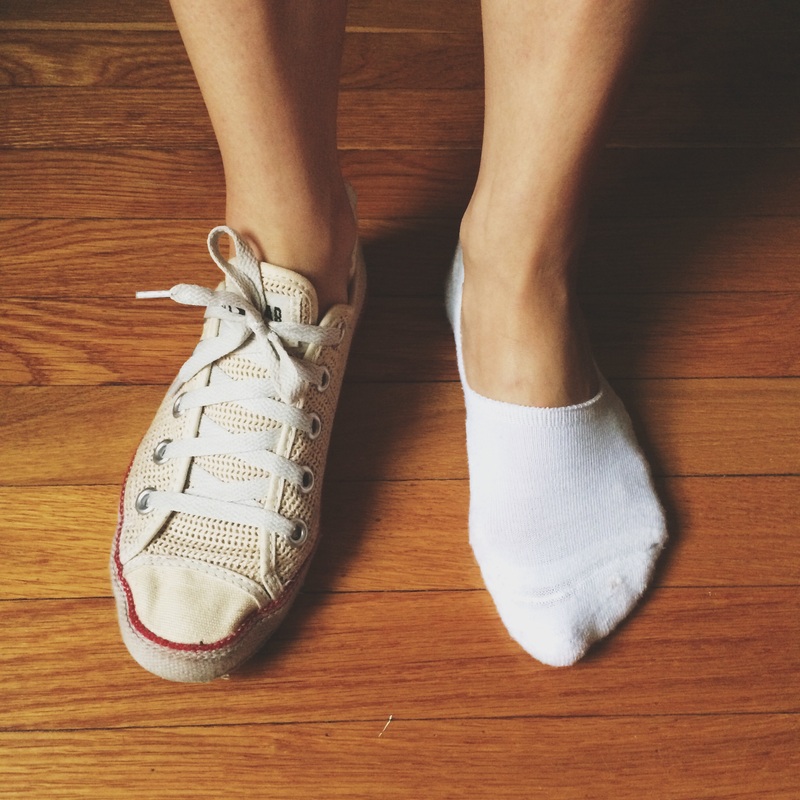 Despite a rather complicated relationship with socks, I remain a big fan of the shoes that require them- which is far broader a list than one might imagine, especially if you’ve got bunions to consider. 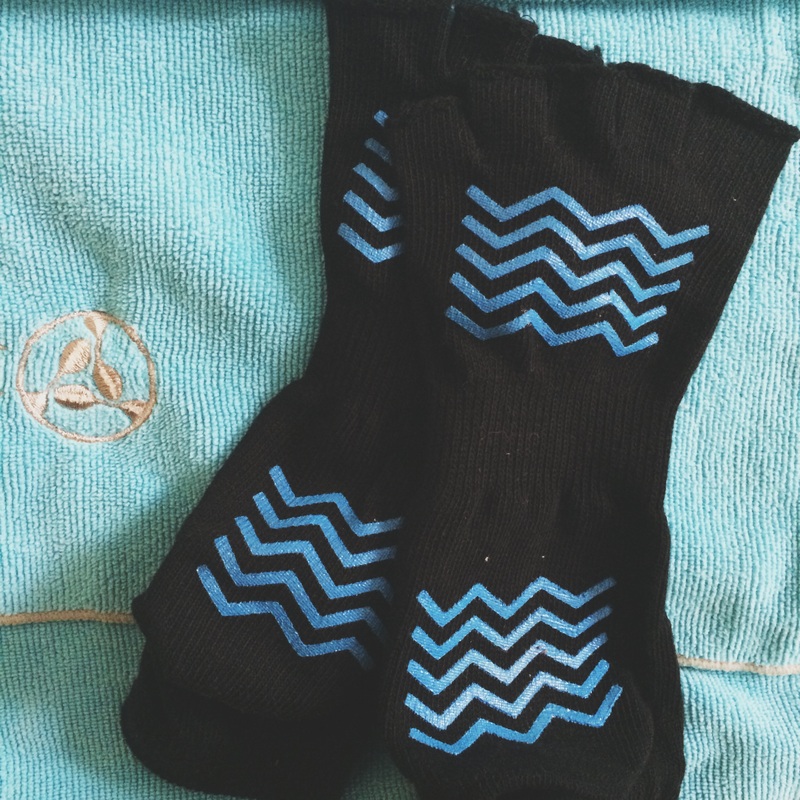 I was recently given the opportunity to try out some nifty (and I mean nifty) socks from Kushyfoot, and these babies are special. The basic athletic foot covers have been getting a lot of use this summer. 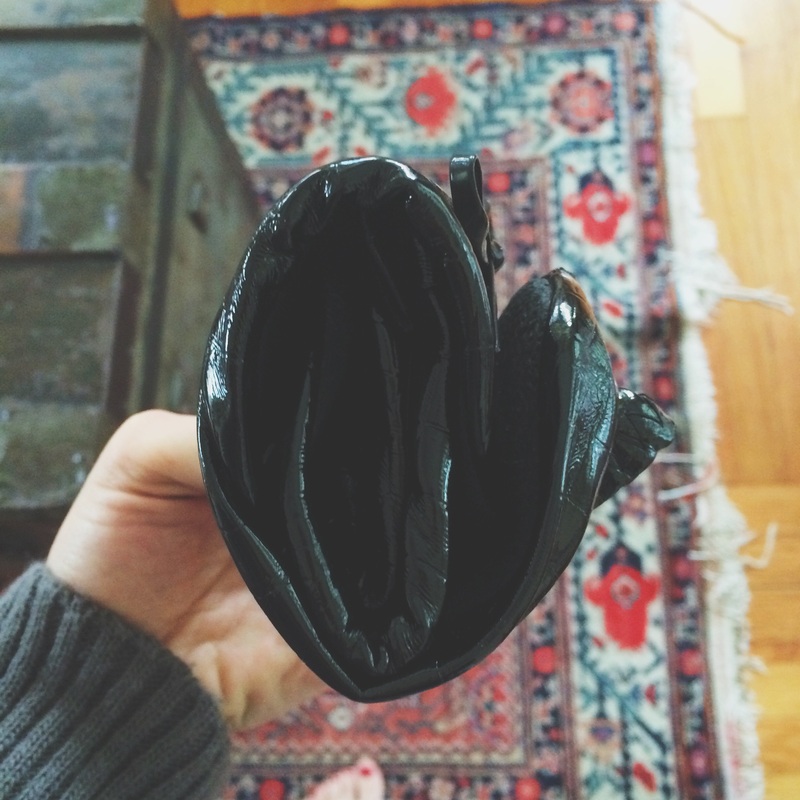 I tend to wear canvas sneakers with everything from dresses to shorts to jeans (you never know what kinds of off-roading adventures may await) and these little guys make the insides of my shoes feel super soft and, well, cushy. I love that they provide a long enough vamp to wrap up the gorgeous bones protruding from my big toes (most no-show socks cut straight through) but remain completely invisible under the shoe. Win, win. 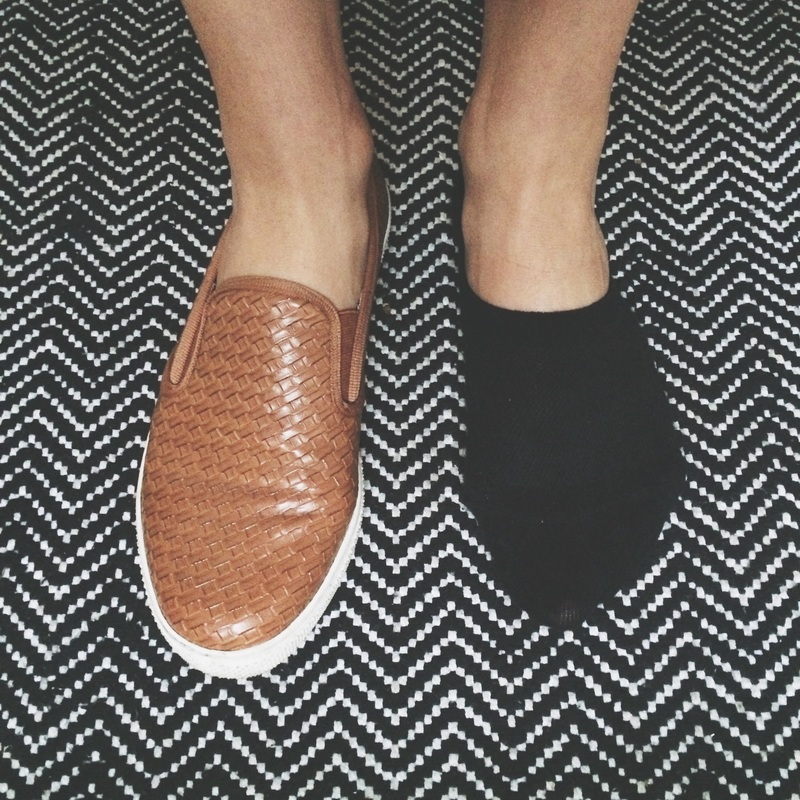 Of course when I’m not wearing canvas sneakers (re: trying to be a bit shmancier), it’s usually some form of leather flats or suede smoking slippers, with the black version of the classic slip-on, because what’s a nighttime shoe without a coordinating sock? Hashtag Sock Brat. …ps they roll up to about the size of a fist. Portable and practical, yes please. And did I mention they cover the bunions? This is a big deal, you guys. 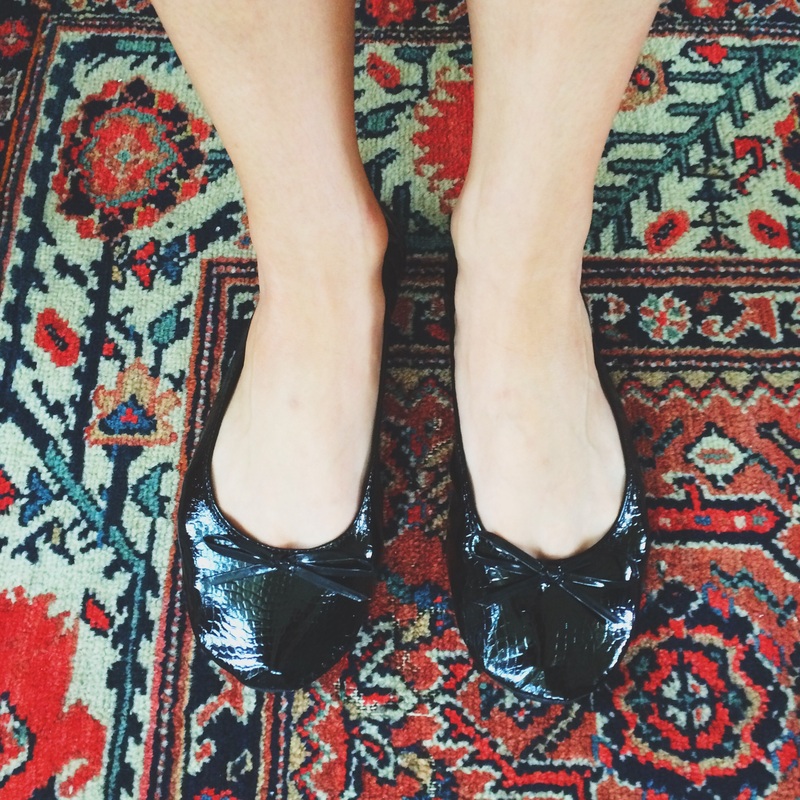 Ballet flats that cover bunions are the preppy girl shoe version of four leaf clovers. They are so rare you start to think they don’t exist, until one appears in your mailbox and you run around your apartment chanting JUSTICE TO THE BUNIONS! so all of your neighbors can rest easy knowing you’ve found your four leaf clover. If this is too much bunion talk for you, let me offer instead the delicate, feminine subject of foot sweat. Ever see that girl in your hot yoga class who rests a towel under her toes in downward dog and think to yourself, Is that weakening her stretch or disconnecting her with the floor? Well, my friends, that girl is me and the answer is both and neither. It’s keeping my shweaty toes from shlipping off the mat (shh). The yoga socks are a grippy alternative to towel solution, providing traction with the mat and actually grounding your soles deeper in that down dog. Namaste. *There’s a sock for those too. This entry was posted in Dress Code, Reivews and tagged ballet, dancer feet, feet, foot covers, invisible socks, kushyfoot, sock, socks. Bookmark the permalink.